Description: How can you be sure that you have true faith? Andrew Murray covers every possible reason why you might struggle to obtain the full measure of faith that God has for you, and he explains how to increase your faith until you have erased all doubts. 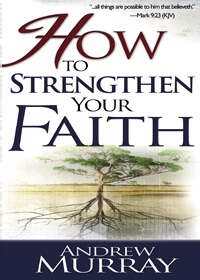 No matter where you are in faith, this book will take you farther along the way to God.